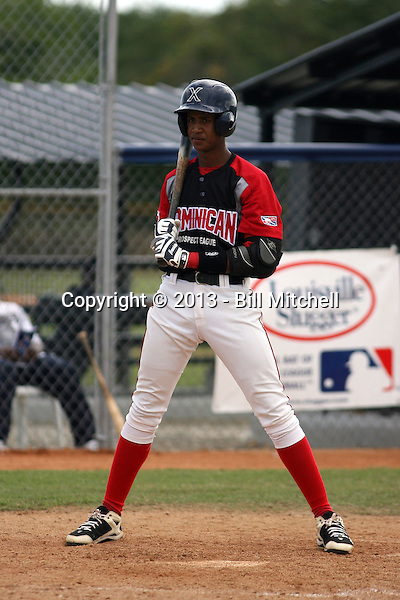 Miguel Munoz Rodriguez participates in the Dominican Prospect League showcase at the New York Yankees academy on September 19,2013 in Boca Chica, Dominican Republic. Munoz subsequently signed a contract with the New York Yankees. all images © Bill Mitchell |contact |Images are not for sale to the general public.